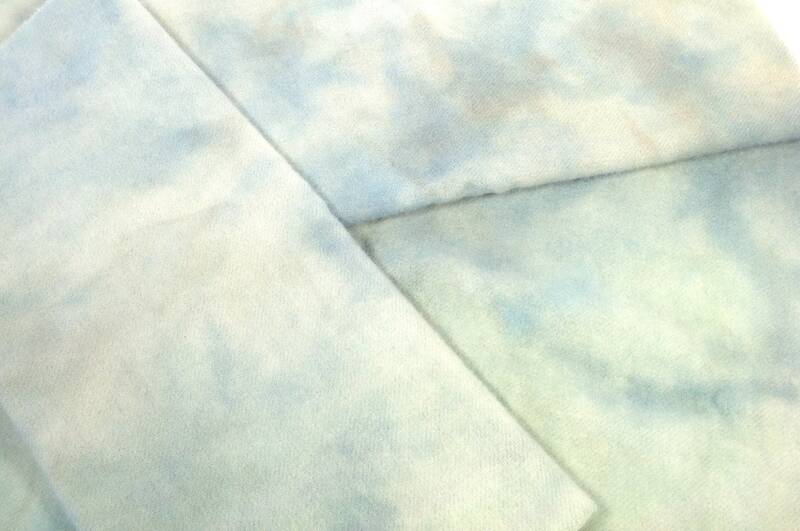 This listing is for 1) fat 1/4 yd, hand dyed by me. "Aquamarine", a blue green color. It has a very mottled appearance with lighter and darker areas rippling across the pieces. Each 1/4 yard is unique. The fat quarter measures approximately 16" x 28". Some of the photos show more than one fat quarter to give you a better idea of the mottling. This listing is for 1 fat quarter. 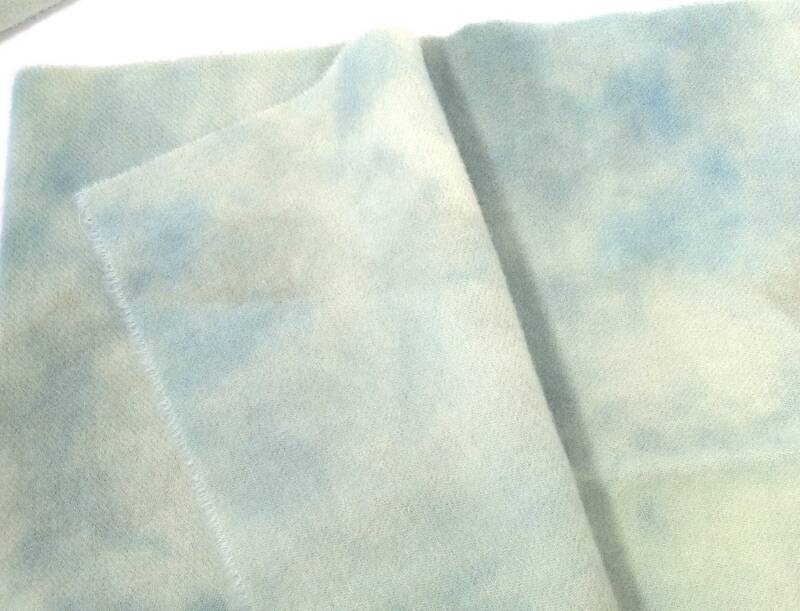 100% wool fabric, suitable for cuts #6 and wider and for applique and crafts. 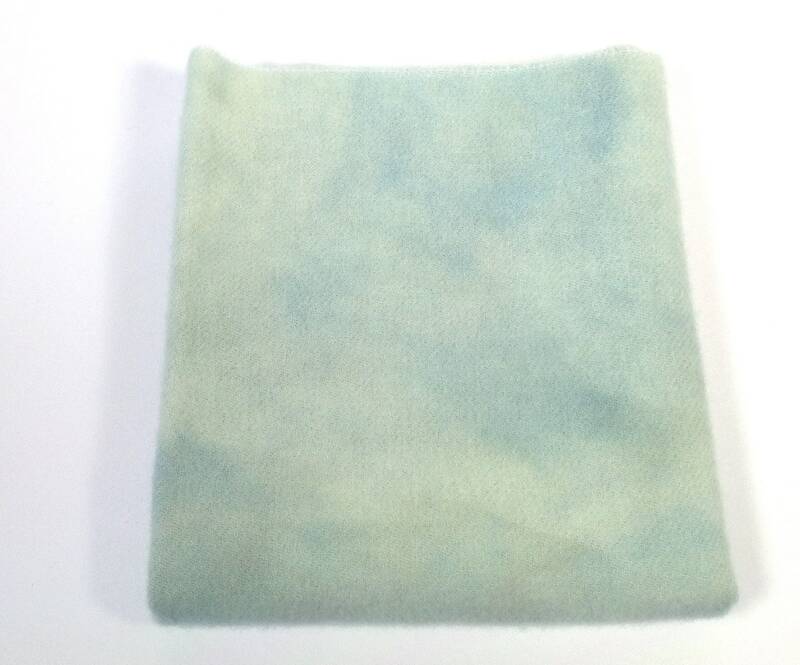 This lovely pale aquamarine blue will hook or applique lovely skies with cloudy patches or shallow waters, waves in sunshine. Also use for berries, flowers and more. 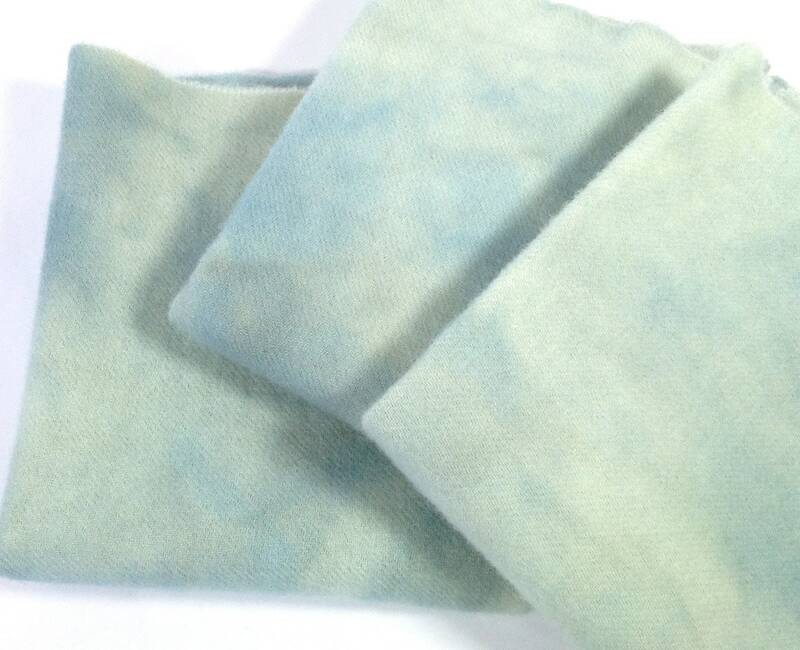 It has areas of blue green and blue, from pale to medium shades and areas of soft washed grays. Ready to use for rug hooking, applique and sewing projects. Thank you for visiting and please contact me if you have questions. As always, Mary dyes the best wools!